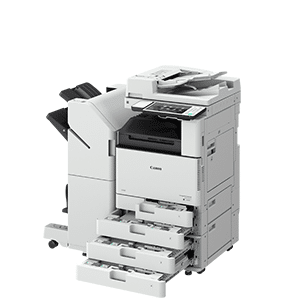 Trust us with repairing your copier or photocopier. Print Value is the key player for repairing and servicing professional printing equipment. Has your photocopier broken down? 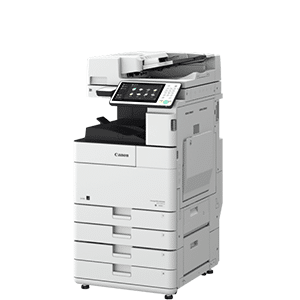 We repair and service all professional printers whatever the brand (HP, Brother, Lexmark, Samsung, Epson, Xerox, Canon, IBM, Kyocera, Oki, etc.) and technology (laser, ink jet starting at A3, impact, thermal, etc.). Whether your printers have paper feed problems, need a maintenance kit change or are out of order, we intervene within 24 to 72h. All our printer repairs are guaranteed 6 months. We stock over 2,500 spare parts to intervene as soon as possible. No need to invest in a new machine! The various parts come under so much strain that one day your copier might just stop working altogether. In one case out of five, a part has simply worn out. Perhaps more basic, minor defects need correction. Customer satisfaction is our top priority. Our repairs are guaranteed 6 months. Trust an expert with your printer! Thoroughness in solving the problem: three copy machines to repair. Itemised estimate clearly detailing the problem I had described before the work, confirmation by e-mail, visit from the technician, ALL WITHIN 48 HOURS. The technician? Remember this name: Rajesh. Very likeable and passionate about his work. Real pros, especially for hard-to-find XEROX machines. Well-done 5/5 ! Quality service provider, very different from clichés about copy machine sales representatives. Reliable, friendly and efficient service at the right price. I heartily recommend them after having several problems with other companies in recent years. The team is very reactive. I sent an e-mail about a problem with a laser printer. Less than 10 minutes later I got a call from a really nice advisor who gave me the answer over the phone. I won’t hesitate to call them again! 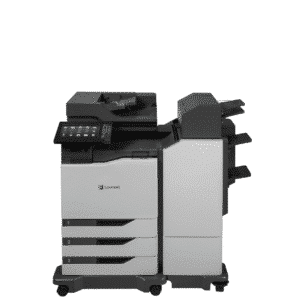 Copiers quickly installed, electronic document management that saves precious time. Very good experience, serious company that I strongly recommend. We permanently have a large stock of spare parts available to repair and maintain your printers. If we’re missing a specific part to repair your printer, we’ll order it from the wholesaler or straight from the manufacturer. Our spare parts are all original manufacturer parts, and fully guaranteed. Faulty or worn parts are recycled or reconditioned in an effort to reduce our environmental impact. What’s more, when repairing your printer, we only change faulty parts. 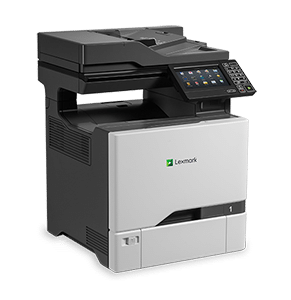 Our Print Value technicians have the expertise to work on all printer brands (Lexmark, Canon, IBM, Oki, HP, Epson, Brother, Samsung, Kyocera, etc.) and types (laser, inkjet, thermal, etc.). Who better than a skilled professional to repair your printer? While some small problems can be fixed quite easily (ink smudges on the paper for example), others require expert know-how. This is particularly true for printer parts that are at the end of their life cycle. You may also need maintenance help from an expert for smaller problems, such as recurring paper jams or even a Wi-Fi or network-related malfunction. Lastly, our after-sales technicians can give you advice on buying a new product. Request an estimate, it’s free! Creating, printing, going paperless, storing and shredding. Print Value considers your documents as a whole. We streamline your workflow processes to significantly cut your costsand boost productivitywhile integrating the security and mobility crucial to your company’s digital transformation. Vous souhaitez plus d’information sur ce produit ? Merci de remplir le formulaire ci-dessous afin que nous puissions vous recontacter dès que possible. Les informations recueillies sur ce formulaire sont enregistrées dans un fichier informatisé par Print Value pour la gestion de notre clientèle. Elles sont conservées pendant 3 ans et sont destinées au service commercial et marketing. Conformément à la loi « informatique et libertés » https://www.cnil.fr/fr/loi-78-17-du-6-janvier-1978-modifiee, vous pouvez exercer votre droit d’accès aux données vous concernant et les faire rectifier en écrivant à serviceclient@print-value.fr. Merci de remplir le formulaire ci-dessous afin que nous puissions vous recontacter dès que possible pour votre devis. Complétez le formulaire ci-dessous et nous vous appellerons dès que possible. Nous vous invitons à remplir le formulaire ci-dessous afin que nous puissions vous recontacter dès que possible. Impression, dématérialisation, archivage et destruction, chez Print Value nous envisageons vos documents dans leur ensemble.